Jennifer worked overseas during college as a Camp Adventure counselor and caught the bug for the European way of life. This led her to pursue a job as a Speech Therapist on a German military base where she met her husband. Despite two repatriations driven mainly by life's twists and turns and aging parents, Jenny and her husband still wonder "what's next?" as all expats and repats do. Jennifer and I discussed the level of intimacy and need expats have for one another when developing family-like friendships. She told me about the timeline she has come to expect when adjusting after a move. 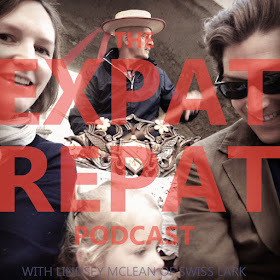 And she shared an invaluable tip for expats about to move home to hold onto the memories of their expat life. If you enjoy the show, please share with your friends, subscribe wherever you get your podcasts, and give us a rating and leave a review! Thank you so much for being here.